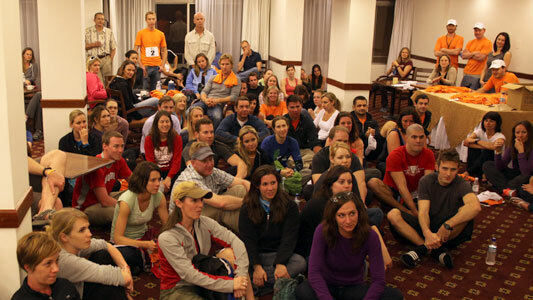 Thank you for visiting the Race 2 Adventure Chile page. This race is currently sold out, but you may still want information about the upcoming race. Visit the sections below to view the itinerary, registration information and FAQs. Veterans will reunite and newcomers will be welcomed with open arms. 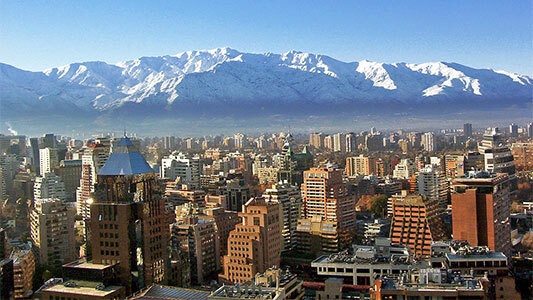 It’s time for another Race2Adventure, commencing in Santiago, Chile! Arrive into the country with enough time to arrive to our hotel downtown, by late afternoon. Dinner and registration begin at 5pm. Race Day 1 in Santiago. 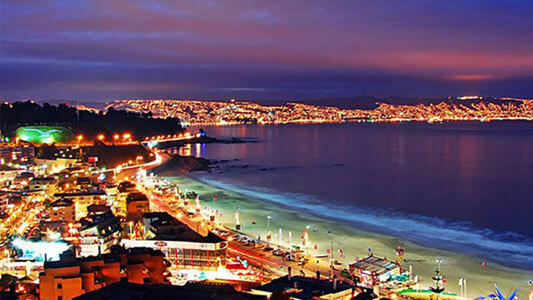 Then it’s off to our very first stop along the way – the vibrant oceanside city of Valparaiso, under 90 minutes from Santiago. Known for its colorful neighborhoods, artistic graffiti, restaurants, and nightlife, we will take our second city in two days by storm. 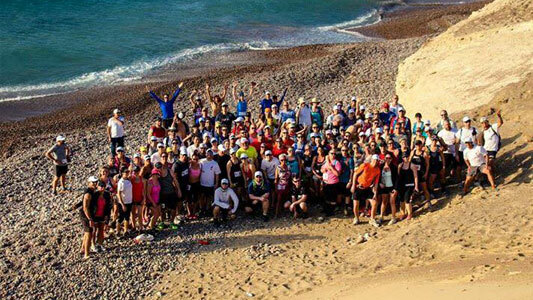 Rise and shine for Race Day 2 and a breathtaking cliff run in the beach town of Vina Del Mar. We’ll reach the race start by boat and enjoy the single track run along the ocean. After this morning’s exercise, it’s lunch on the shores of Chile followed by a trip into Chilean wine country. The Casablanca Valley region is known worldwide for its renown vineyards and we’ll have the pleasure of tasting why. Wine in the afternoon, then back to Santiago. Although you’ll most likely sleep like a baby after a run followed by wine tasting, don’t get too comfortable. We’ll be flying as far south as South America goes tomorrow morning!!! Next stop, Punta Arenas – the gateway to PATAGONIA! You want penguins, you’ve got penguins! Hundreds and quite possibly thousands will be there to greet all of us. Have no fear, this is not Central America where hopefully just maybe we spot a monkey or sloth. Penguins are not elusive – they will be there! We also won’t waste any time as this is Race Day 3 and we’ll be racing in Patagonia! After the race, we’ll be enjoying lunch at a Patagonia Ranch. We’ll keep trucking after that so we can move up to Puerto Natales and prepare for our entrance into Chile’s famed national park tomorrow morning – Torres Del Paine. 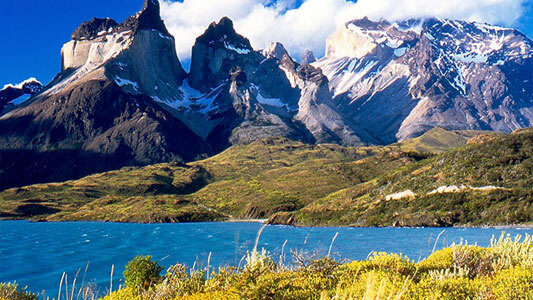 Torres del Paine encompasses mountains, glaciers, lakes, and rivers in southern Chilean Patagonia. It’s an early departure so we can take it all in. We’ll trek the trails in a park that so many aspire to visit although very few do. No need to race today. We’d recommend taking this morning in at a comfortable pace so you can bask in Chilean Antarctica. This will be a monumental piece of R2A 2017 and arguably your life. Following our trek through Torres Del Paine, we’ll board ferries for the famous Grey Glacier tour. Might want to bring your cameras today!! It’s back to Punta Arenas tonight so we can make our flight for Puerto Montt and Chile’s Lake Region further north tomorrow. Good morning and congratulations! You’ve done what so few will ever do – ventured near the very southern tips of planet Earth. And now, it’s time for a new climate, a new region, and something near and dear to the R2A staff and R2A’ers – LAKES! Not the bone chilling ones either. We’re talking rushing rivers, volcanoes, hot springs, AND lakes! Our flight from Punta Arenas will take us up to Puerto Montt. 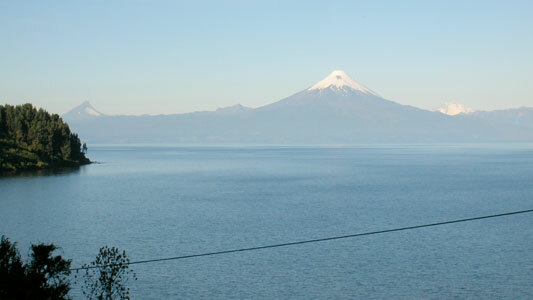 And what better way to say hello to new terrain than with Race Day 4 at Llanquihue Lake. We’ll hit the local town that night and revel in the fact the majority of this week’s challenges are behind us. It’s the final stretch! We’ve raced in a city, alongside the ocean, in Patagonia, and around a lake. Just one thing missing….a river run! Race Day 5 takes us along the Trancura River. Once you cross that finish line, look back on what has been yet another epic journey with your new friends and family at Race2Adventure. The rest of today reads like a “Choose Your Own Adventure.” Soak in a hot spring, seek adrenaline in Class III rapids, zip line, or just kick back at a cafe (additional per person charge for this activity). Then clean up for the quintessential R2A Final Party – Awards, announcements, recaps, and dancing will ensue! It’s at this mark where some of you might be sticking around Pucon to hang for a few days, dreading the need to inch one step closer to life as we know it. The majority will join us on tomorrow’s flight back to Santiago. That is why tonight is the night to celebrate all that we’ve accomplished. YOU MADE IT!!! 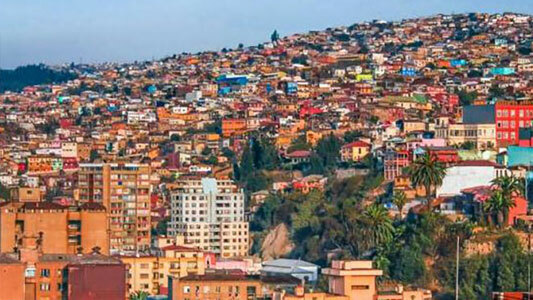 After our flight back into Santiago, settle into your accommodations and unwind. Dine with new and old friends, explore the city a bit more, and get ready for your trip home Sunday (trying to squeeze in a flight back home on Saturday evening is not recommended as it leaves too much to chance). No way you have ever experienced that many climates, that much terrain, and that much adventure inside of eight nights and nine days. No. Way. This is a bittersweet kind of day. You’ll wish the adventure could continue but are so happy to be returning back to the comforts of home. So they said it couldn’t be done, huh? Well…it’s done! And the next R2A planning for the next epic journey will be underway. We get one go around on this planet. We’re so happy you’ve chosen to write a chapter or two with us. Registration includes THREE internal flights (Santiago to Punta Arenas, Punta Arenas to Puerto Montt, Pucon to Santiago), winery tour, two boat tours, national park entrance fees, lodging, racing, coach transportation, daily activities, and almost every meal! Chilean meals will be catered and promise to exceed your expectations. Essentially, the only main component your registration won’t include is airfare. Deposit holds your spot for the race. Only 100 spots available – first come, first served. Early bird registration fee (includes $400 deposit). Before February 1, 2016. Final balance due August 1, 2016. Total registration fee (includes $400 deposit). Between February 1, 2016 and August 1, 2016. Final balance due August 1, 2016. Total registration fee (paid in full, no deposit required). What type of person normally signs up for this type of adventure week? In the past eight years we have had people come down and walk the entire race. We have had people plan to run the entire race and walk. We have had people plan to walk the entire race and run the whole thing! We have had men and women, single and married, solo and with a group, between the ages of 22 and 70. There is no mold here. That being said, we do ask that you come to Race2Adventure fit. This should not be the beginning of you becoming fit. That is dangerous for you and has the ability to slow down the group as a whole. What this should be is the culmination of you being fit – it’s never too soon to start training! We apologize for the tough love, but it’s not five star! It will be comfortable and it will vary by region. Know that we have your best interest in mind and we haven’t let a group down yet. Are there bathroom and shower facilities throughout the week? YES! You’ll always have facilities available to you. Absolutely. 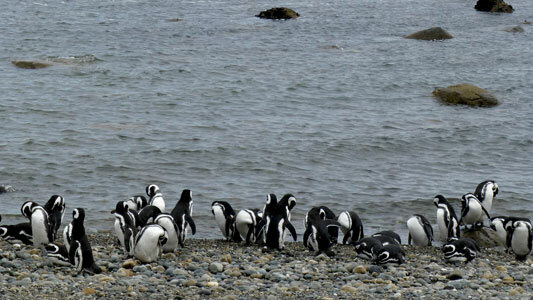 There is more ground to cover than usual as we are working our way from the capital of Chile all the way down to Torres Del Paine and Patagonia, but you will seek solace among the vineyards, cities, lakes, and penguins. You will have plenty of time to do the things you want (i.e. explore, nap, read, relax, or enjoy happy hour). How much money can I expect to spend during the week? 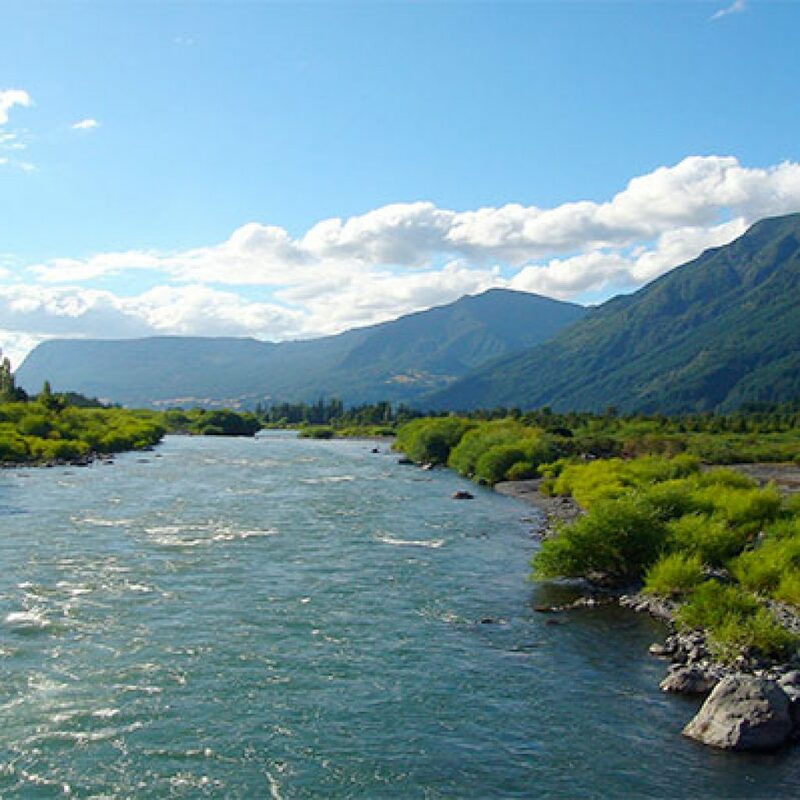 Keep in mind, three internal airfares throughout Chile, boat tours and transportation, coach transportation, national park fees, racing, daily activities, 8 nights lodging, and almost every meal is all included in the registration fee. With the exception of a few meals, drinks, snacks, and a few souvenirs, a few hundred dollars should be all the additional funds you need! Does the race registration include my international airfare? The only major expense race registration does not cover is your international flight to and from Chile. These are typically available for booking 331 days before departure and arrival into the country. Chances are, based on where you’re flying from on the planet, airfare will range between $750-$1500.